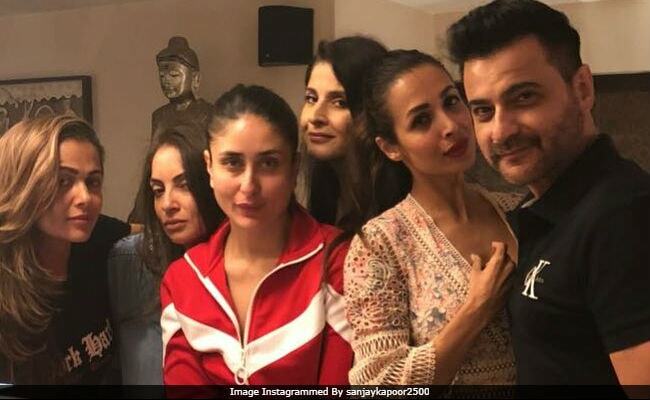 Best friends Kareena Kapoor, Malaika Arora and Amrita Arora partied together on Sunday with Sanjay Kapoor, his wife Maheep and Seema Khan. Sanjay Kapoor posted a picture of the whole gang and captioned it using the hashtag, "Beauties and the beast." Filmmaker Karan Johar also shared a picture with Kareena (in the same outfit), which appears to be taken during the party. Both of them were twinning in red. "Bebo," he wrote, adding some heart emoticons. Kareena, Malaika and Amrita are often spotted together on lunch dates, parties and holidays. Some months ago, the trio went to Goa to celebrate Amrita's birthday. They were accompanied by Maheep and Seema (Sohail Khan's wife). Weekend done right for Kareena, Malaika and Amrita. Kareena Kapoor also shares a good rapport with Karan Johar and is photographed at all his parties. She and son Taimur were among the very few guests invited for Roohi and Yash's first birthday in February. Roohi and Yash are Karan Johar's twin children. Rani Mukerji, Alia Bhatt, Shweta Bachchan and Sidharth Kapoor had also attended the birthday bash. She was also a part of Karan's mother Hiroo's 75th birthday party, celebrated last month. A month ago, Kareena and Karan were chilling in London. Kareena Kapoor is currently awaiting the release of her forthcoming film Veere Di Wedding, directed by Shashank Ghosh. It is Kareena's first film after giving birth to her and husband Saif Ali Khan's Taimur, 1. Veere Di Wedding also stars Sonam Kapoor, Swara Bhasker and Shikha Talsania. 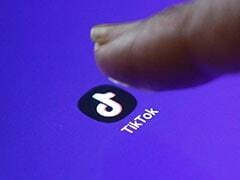 It is co-produced by Rhea Kapoor (Sonam's sister). Veere Di Wedding releases this year on June 1.